A loan of $875 helped to buy seeds, fertilizers, and pay the cost for land preparation. Antonio, 59 years old manages his farming business. He grows rice in their field, and has been in this business for almost 30 years. Thru farming, he is able to feed her four children and grant his family necessities. Growing of rice also enables him to provide his children needs in school when they are still studying. 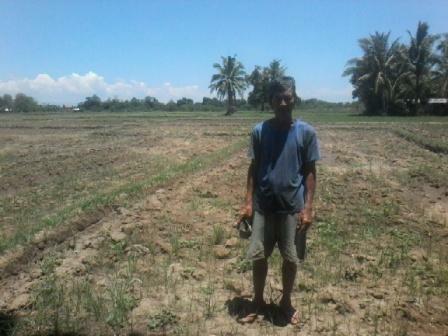 Antonio wanted to borrow a loan of P40,000 to buy seeds, fertilizers, and pay the cost for land preparation. Antonio wishes to harvest higher yield and save some of it for the future of his wife.